To me… DEFINITELY Miyasono Kaori from Your Lie in April and Rei Ayanami from Neon Genesis Evangelion! All of her photos and works are very impressive. No matter her pose, facial expression and the Composition. And ・・・。 Totoki YU’s husband Yuri Totoki aslo a cosplayer ! Make me so jelly haha. 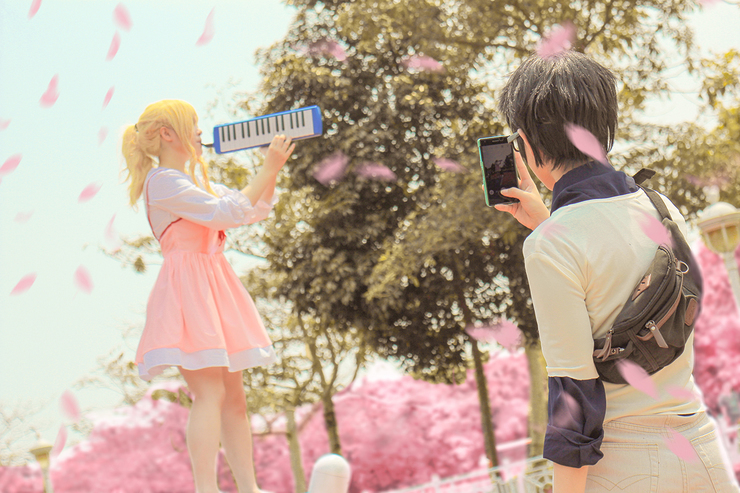 Not only cosplay photos, they also produce cosplay videos !! These short film are very compelling and amazing, you can seeing their interpretation of the characters and works. And we have pick up 5 photos out of Totoki YU 296 photos which he uploaded on Cure WorldCosplay!! Visit Totoki YU gallery from Here.